El Rompido Golf Course Sunny Spain. 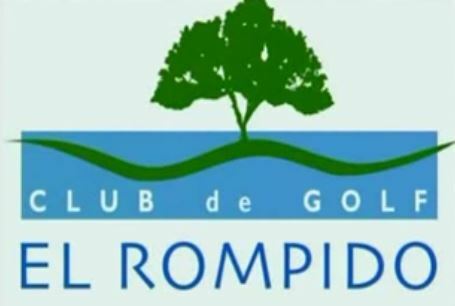 El Rompido Golf Course. Situated in the province of Huelva, on the Western side of Andalusia, in the Costa del Sol area of Spain, golf el rompido blends into the natural site of the Wetlands of River Piedras. golf el rompido is the only golf course in the region with 36 holes (north course and south course) and no property developments surrounding it. Its two 18-hole courses, surrounded by pine and orange groves, cross the wetlands and open out onto the Atlantic Ocean with some spectacular views, giving those who play it a unique experience. The force of nature is evident with every step, turning the sport of golf into a pleasure for your astute senses. Address: Carretera Cartaya – El Rompido, km 7, 21450 Cartaya, Huelva. Phone: 959 02 42 42Hours: · 8AM–9PM. Looking for accommodation to stay at near El Rompido Golf Course? 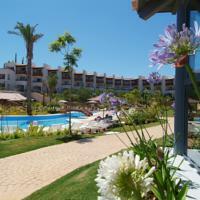 Apartments Precise Resort El Rompido-The Club 4 stars. Situated on the 36-hole El Rompido Golf Course, Precise Resort Club El Rompido- The Club features large outdoor pools. It offers well-equipped apartments with balconies. First of all for a larger selection then you’ve come to the right place so! Just CLICK IN. Enter your dates and choose out of 50 properties. Golf Holiday El Rompido Golf Club GolfShots™ Video. The Golf resort at El Rompido is situated within the stunning Marismas at the mouth of the Rio Piedros river in Huelva Province. The course is sensitively woven through the protected nature reserve which houses many rare species of flora and fauna. This gives the course a unique and unspoilt feel, unparalleled in the region. The resort has a very contemporary style and design ethic, reflected in the modernist club house and other buildings on site. The modern style somehow complements the organic nature of the surroundings resulting in an atmosphere of peace and serenity. There is also a fully serviced apartment building on site with its own separate self-catering facilities. This is very popular with families and has a kids club during the summer season. You will find two 18 hole championship courses at El Rompido with practice and tuition facilities to match. There are putting and driving range practice facilities on both the North and South course plus the onsite teaching services managed under the experienced eye of Peter Ballingall. There are so many great features about this stunning resort but the main thing you will notice is the complete lack of development near the course. Building is not allowed in the nature reserve which means youll get an unforgettably peaceful golfing experience unlike those offered by more built-up facilities throughout Spain. One of Golf Digest ′s 10 Best Teachers in America (No. 7) helps you master the most difficult short–game shots in golf, just the way Seve Ballesteros did Here′s one golf book you should definitely own if you want to improve your game and lower your scores. Top golf instructor Martin Hall, host of Golf Channel′s weekly TV show, School of Golf , teaches you how to conquer challenging short–game shots as played by one of the all–time masters of the short game, Seve Ballesteros. By the time you′re done with this book you′ll have a fresh arsenal of short–game shots to choose from, whether it be running the ball through a bunker or hooking it around a tree, or hitting a super–high, super–soft flop shot that lands on the green like a butterfly with sore feet. You′ll uncover the secrets that made Ballesteros the most dominant and respected short–game player of his era—and put them to work to boost your own game. Presents easy–to–follow techniques for improving your short game, with more than fifty shots inspired by five–time major winner Seve Ballesteros Offers valuable insights into the imagination and thought process of Ballesteros, one of golf′s greatest innovators, as well as tips for the average golfer on how to escape the most difficult short–game situations Written by Martin Hall, one of Golf Magazine ′s Top 100 Teachers and the 2008 PGA Teacher of the Year Draws on Hall′s hours of experience watching Ballesteros hit balls and create shots up close while playing on the European PGA Tour Includes never–before published photos of Ballesteros at the peak of his career, hitting many of the shots in the book. Spain Info. El Rompido Golf Course San Francisco De Asis, Urb Marina, San Fulgencio, 03177, Alicante, Spain.